Chief of Police for the Johannesburg Metro Police Department, David Tembe, says proactive officers are needed to deal with techno-savvy criminals. By ORATENG LEPODISE. The new Chief of Police for the Johannesburg Metro Police Department, David Tembe, has little patience for office politics. “We do not want clicks in JMPD… I have little patience with office politics, rival factions or clicks,” said Tembe, the newly appointed Chief of Policing at JMPD, adding that such behaviour impedes the work of the department. Tembe has been in the position since January but was only formally inaugurated on Tuesday. He takes over the department at a time when public confidence in the JMPD is low – Metro police officers are often accused of soliciting bribes from motorists, failing to do proper bylaw enforcement and not responding fast enough to traffic related issues around the city. In a speech on Tuesday, Tembe briefed his officers sternly. “I expect you to prevent the passing of cold drink,” Tembe said. “Cold drink” refers to bribe money. “You must remember that we are defined by our worst examples. ‘Cold drink’ is one of our worst examples. Everybody who talks about us must not talk about ‘cold drink’,” said Tembe. According to Tembe the days of reactive thinking by the JMPD has passed as this would not be adequate in dealing with techno-savvy criminals. “Criminals are advanced in their thinking and we must be miles ahead all the time,” Tembe told his staff. 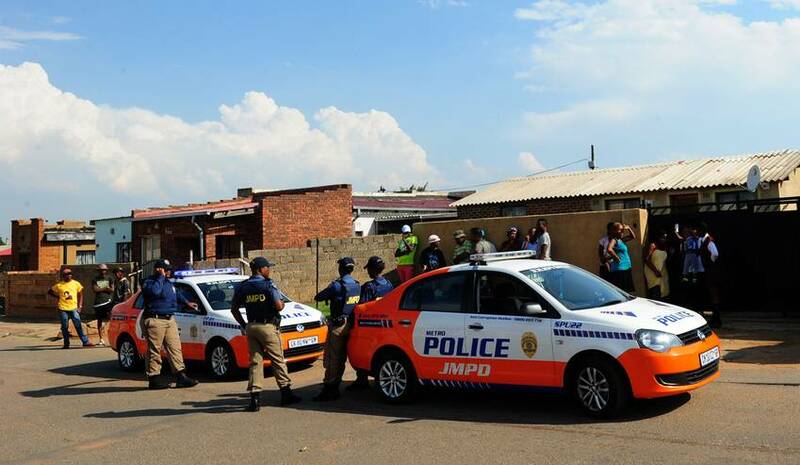 But, Tembe said, this does not mean that JMPD will not be focusing on smaller bylaw infringement. Instead the department would be using the “broken window” approach. “In terms of this philosophy, by preventing and addressing small crimes you have a positive knock-on effect on more serious crimes,” said Tembe. Dealing with fatalities on the roads. The new chief of police made it clear that the JMPD is not taking over the South African Police Services’ job but doing what their job specifies, which is crime prevention. “We cannot wait for crime to happen,” said Tembe. Tembe is no stranger to policing. He spent 20 years with the Johannesburg Emergency Services and in 2003 was appointed as the director of operations for the JMPD. During his first stint in the JMPD Tembe was awarded and commended by the National Department of Transport for his innovation and excellence in traffic law enforcement, and in 2011 he was appointed as the National Chief of Traffic for the Road Traffic Management Corporation. In 2013 he resigned and pursued a career as a consultant in law enforcement. But his appointment has not been without controversy. When his appointment was announced in January, the ANC accused the DA of flouting recruitment and appointment processes. The ANC believed Tembe was not the right person for this title as he was fifth on the list of preferred candidates. It appears that Tembe not only has to win over the ANC but DA Joburg mayor Herman Mashaba as well. Speaking at the inauguration, Mashaba expressed a lack of faith in the JMPD, saying the department does not come close to local police outfits in cities such as New York and London. Mashaba said if there was a terrorist attack in Johannesburg he did not believe the JMPD would respond rapidly and as effectively as local police in London and Brussels had done recently. “For years, previous administrations have failed to provide proper attention to JMPD,” said Mashaba, saying this lack of attention left officers unable to carry out their work properly and honour their responsibilities.